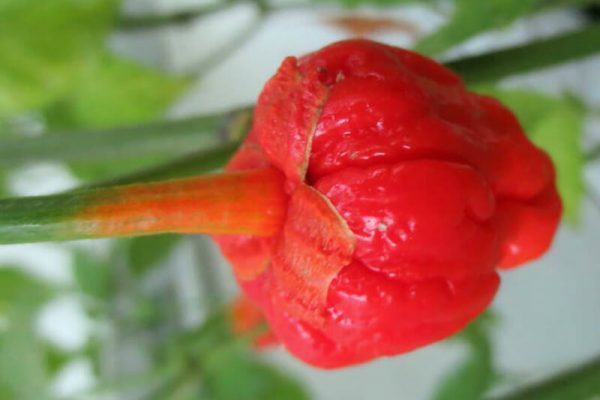 Also called 7 Pot Bubblegum. 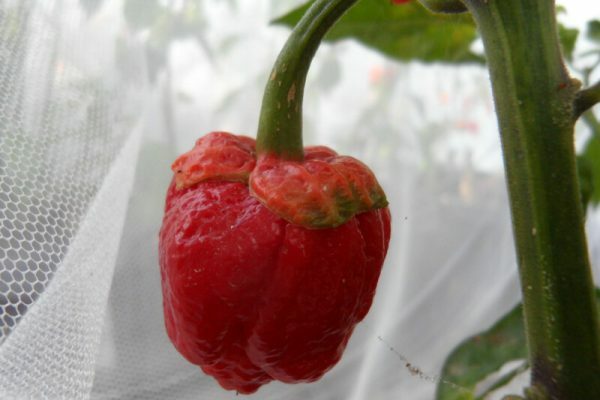 This is a 3rd generation cross developed by Jon Harper a grower in the U.K in 2011- 2012. 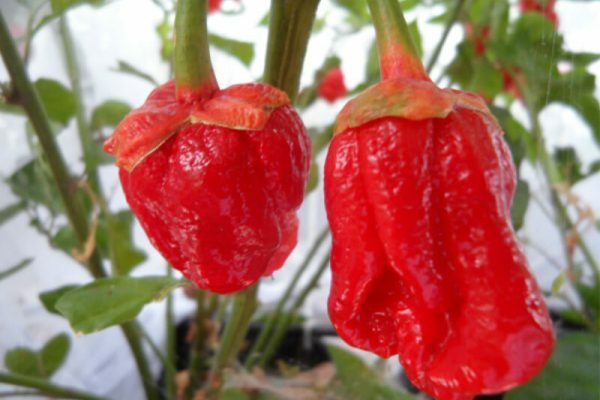 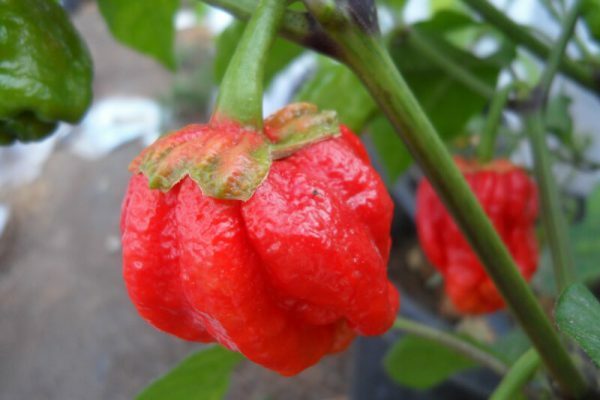 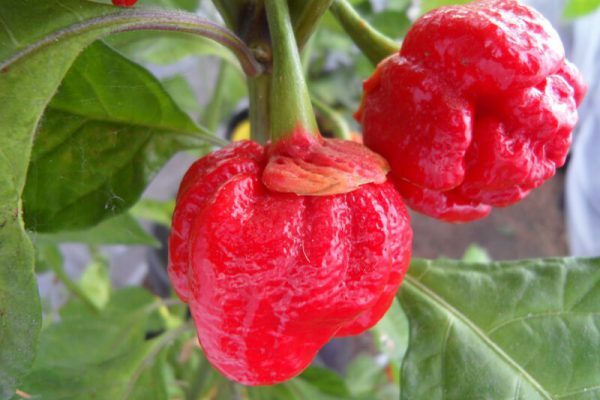 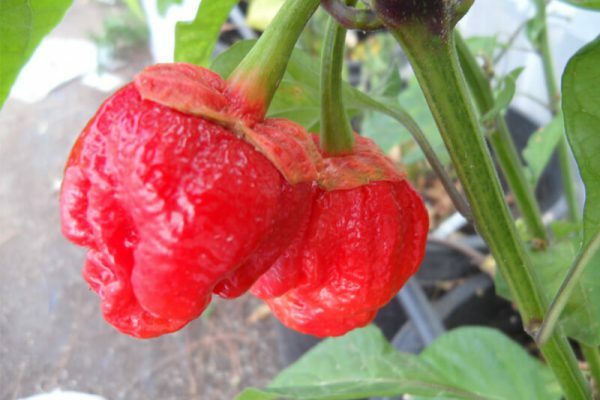 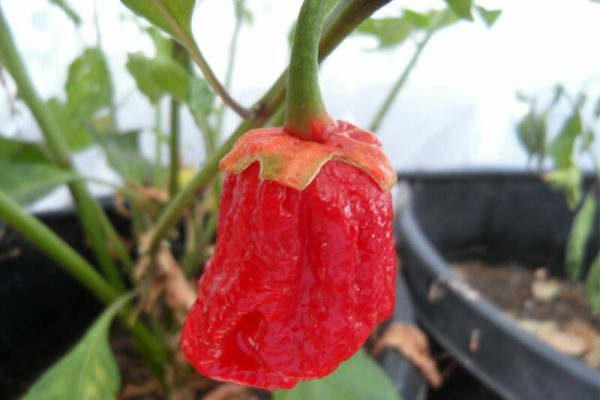 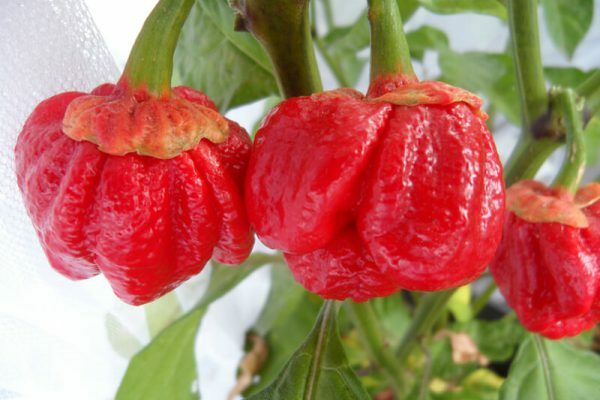 It is a cross between a red Moruga Scorpion and a Trinidad Yellow 7 Pot. 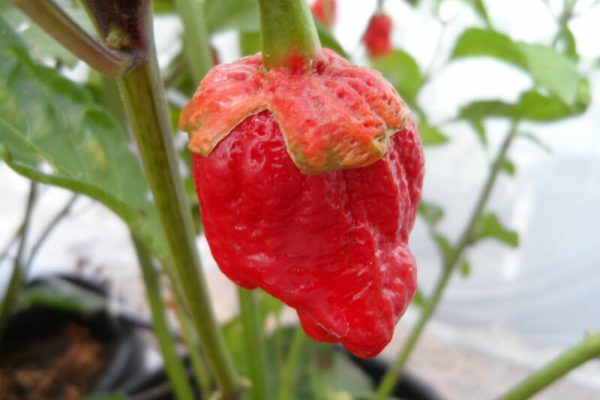 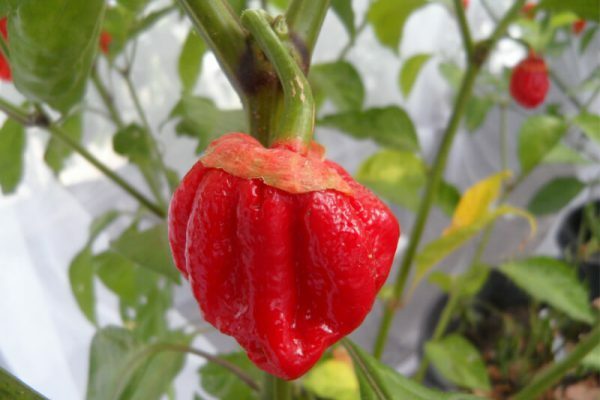 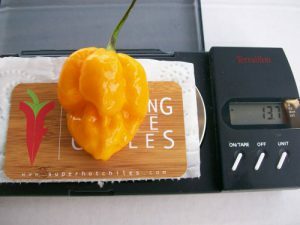 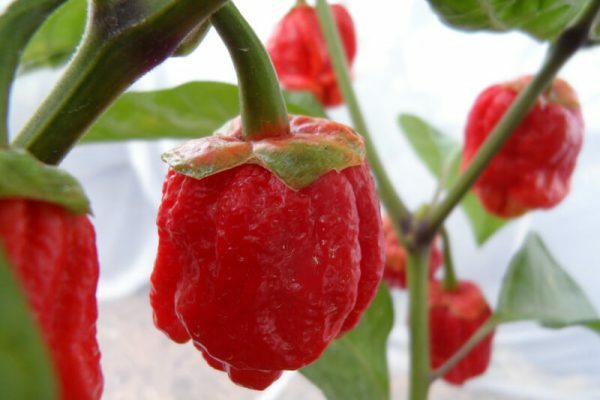 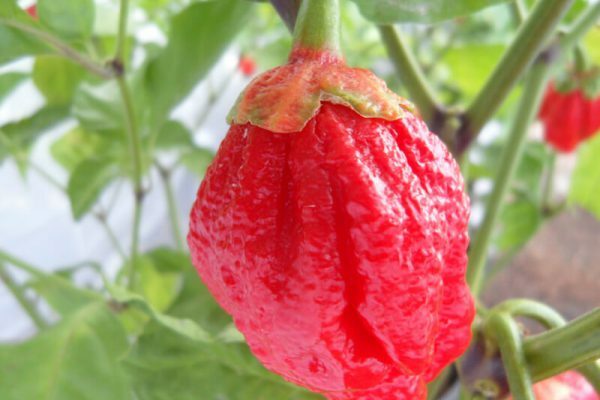 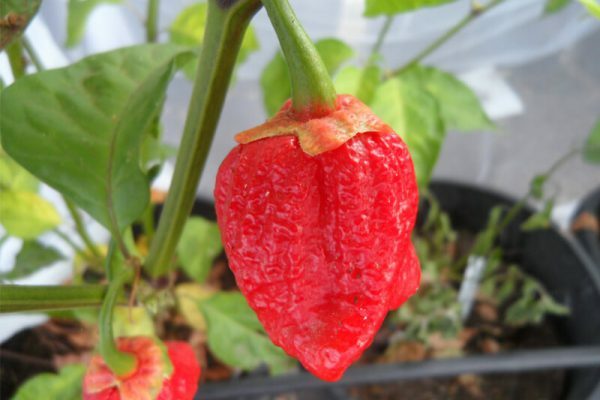 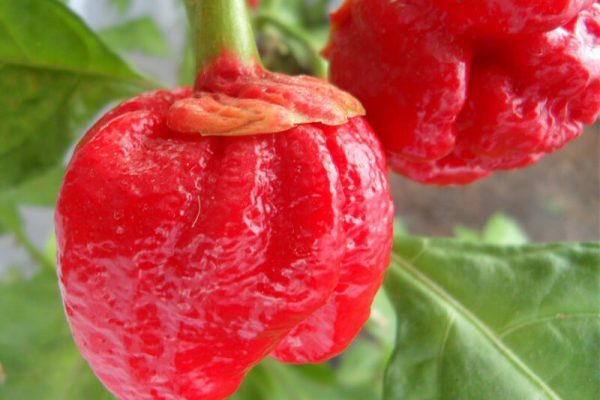 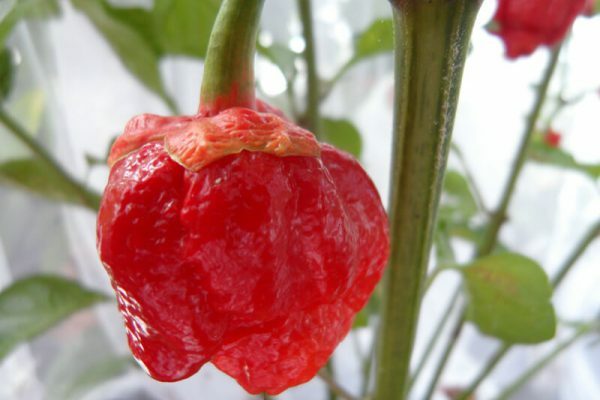 It retains the look of the Moruga Scorpion but has a unique feature in that a light pink color sometimes bleeds up through the top of the pepper into the stem. 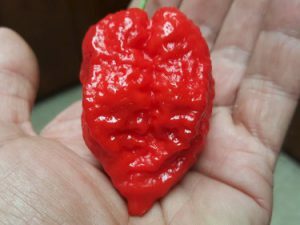 This gives in the Bubblegum name. 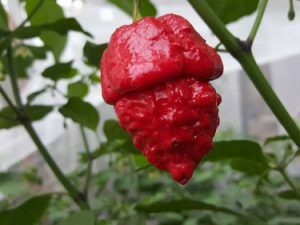 Some say it has a slight taste like bubblegum but most do not agree with that. 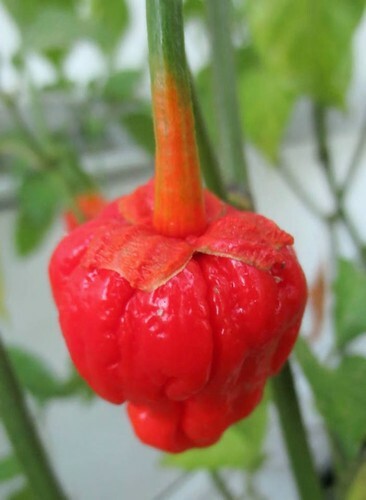 Know that it is only a third generation pepper has very little stability so you may or may not get all the desired traits you see in others photos as I am sure everyone is posting their best pictures of this cool looking pepper. 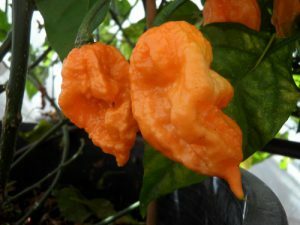 It has good 7 Pot heat and produces many pods. 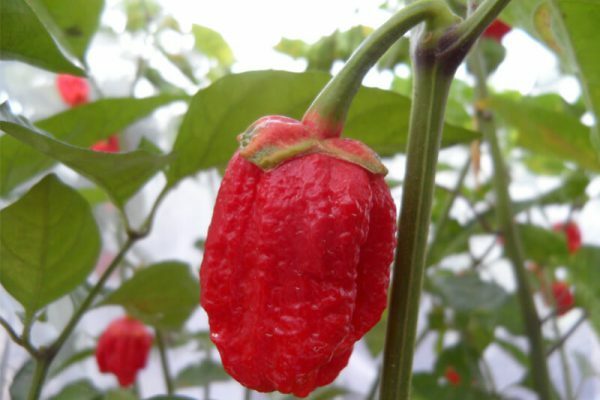 The 7 Pot Bubblegum chile plants can grow to a height over 3 feet tall.